Get more accurate addresses and speed up data-entry time. Auto-suggests addresses as you start to type. Auto-fills street, city, state, country, and zip code reducing address entry time by 90%. Works world-wide. Simplified data entry for contacts, accounts, and leads. Powered By Google Maps, this add-on will make entering addresses in SuiteCRM fast and easy. As you start to type in an address it will auto-suggest addresses. 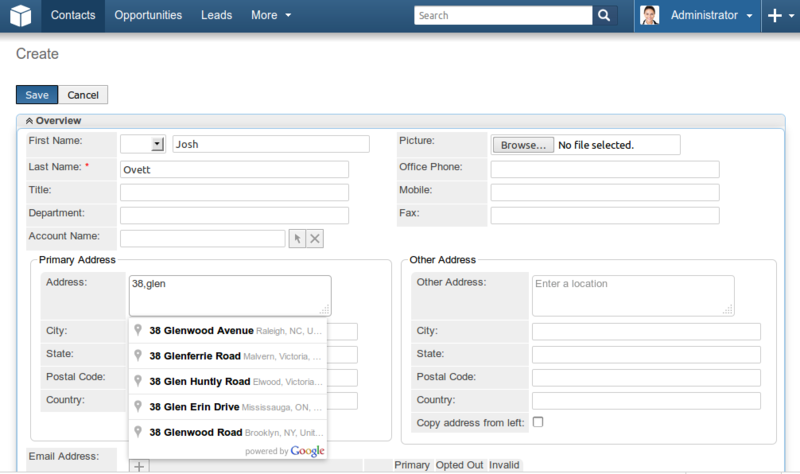 As soon as you select an address it will populate all of the relevant address fields. Mistakes happen. Especially when entering addresses. Using the Address Lookup feature you can limit those mistakes and get more standardized and consistent addresses. Accurate addresses captured in real time. Auto-suggest Address as the user types for optimum user friendliness. Autofill street,city,state,country and zipcode thereby reducing time by 90%. Auto completes address fields as you start typing the address in your Leads, Contacts, Accounts, Invoice and Quotes module. Easily populate address info with the accuracy of Google Places API. Faster address entry with our Google Address add-on for SuiteCRM. 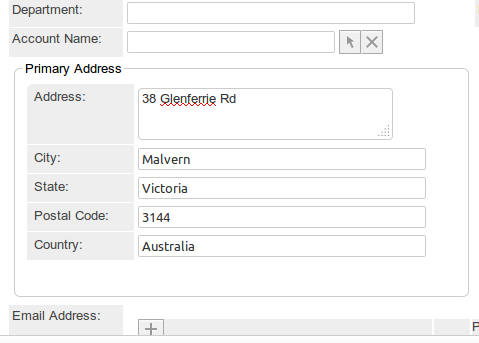 Enter verified address data using Autocomplete Google Places API Integration with "Address" field type. Also supports custom modules of type Person and Company. Adds a "Show Map" button to your detail views for any address.